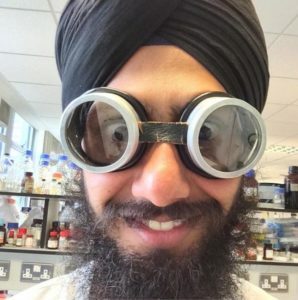 I’m Albel Singh, a Microbiologist, I am going to share my feelings and I hope this will have an effect on anyone, with gurus grace I am going to try to answer these questions. Q. Tell us about yourself and your profession? Q. Your Child/Children’s ages, who they are and what are they like? Q. 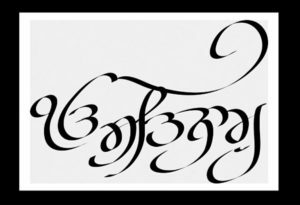 You are a big advocate for writing Gurbani in calligraphy style, why is this important and what advice would you have for someone starting out? 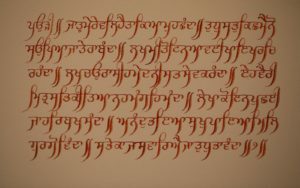 Answering the second part, one thing that I can personally suggest here is to make your pen pace slow and then slower the pace even further, that it may take up to an hour to write Mool Mantar for example, and feel that every word has got a soul of its own and experience how this affects you! And that the process of scribing that your mind goes through is more important. Q. Who has been your biggest inspiration? Q. What has been the best piece of advice you have received? Q. What have you learnt from your own father? A. My father being a veterinarian taught me dedication, I saw him leaving the comfort of his bed for going to treat cows or buffalos whose owners knock at the door in the middle of the night. Q. How has your partner Influenced your parenting style? A. The mother always has a gut feeling, you know the motherly gut feeling amazes me all the time. Q. What would be your advice for anyone who is about to become a Dad for the first time? A. Being a dad is the responsibility to raise a child and the opportunity to raise yourself. Q. What’s the biggest lesson about life your child/children have taught you? A. 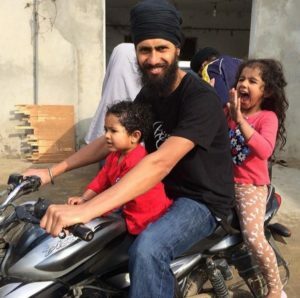 We went to holidays to our village in Punjab, like us kids enjoyed the company of everyone over there and after a couple of months when we came back we use to feel sad missing all of those lovely people, though we saw the kids rejoice when they remembered them. I suppose they inherently know how to live in the moment. Q. 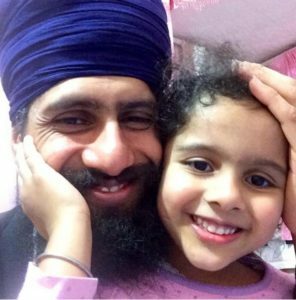 As Sikhs we’re all considered brothers and sisters, if your brother/sister was finding it difficult to encourage their children into Sikhi, what advice would you give them? A. Sikhi in my view does two things to you, one it cultivates you from within and secondly it protects the cultivation that we call “rehat” that Guru Sahib given us, just like a sugarcane field, has a tough boundary for keeping away thieves and stray animals. As we raise our kids all we try to make our kids aware of is this and they are wise enough to make their decisions. Q. If you could create anything to help support other dads, what would it be? A. Night time stories do wonders to the thinking of the kids, I would like to facilitate the collection of sakhiyaan that dads’ can share with their kids before bedtime. Q. You’re going for a Pizza at Mr Singhs – who would you share it with and why? Q. Can you tell me a funny story about something that happened to you while being a father? A. When your kid wants to sit on your shoulders while you cycle, you attempt it and fall in the fields. Q. As a father what has been your most rewarding experience so far? Q. What’s been your biggest challenge in fatherhood so far? Q. Lastly, if you had to sum up being a Dad in one sentence, what would it be? A. As I said before parenting is more of raising yourself an opportunity to live your childhood again, it’s a reflection and indication of how fast the time is running off. 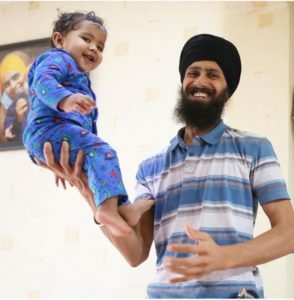 I first met Albel Singh at a Khalsa camp many years ago, at the time we were both fathers of one, how time changes and as you know we are both fathers of three now! When I believed I was not so hands-on, whenever I would see him from afar with his children, I would be inspired, you could say I was in awe, as I watched his children follow him around while he had his hands full completing various seva responsibilities. He was one of the dads I had in mind when I thought about how important our roles are in the lives of our children. It makes me happy how he has always wanted to help and support me in this seva. He always has a smile on his face and is very humble considering the knowledge and skills that he possesses that is a testament to his character. 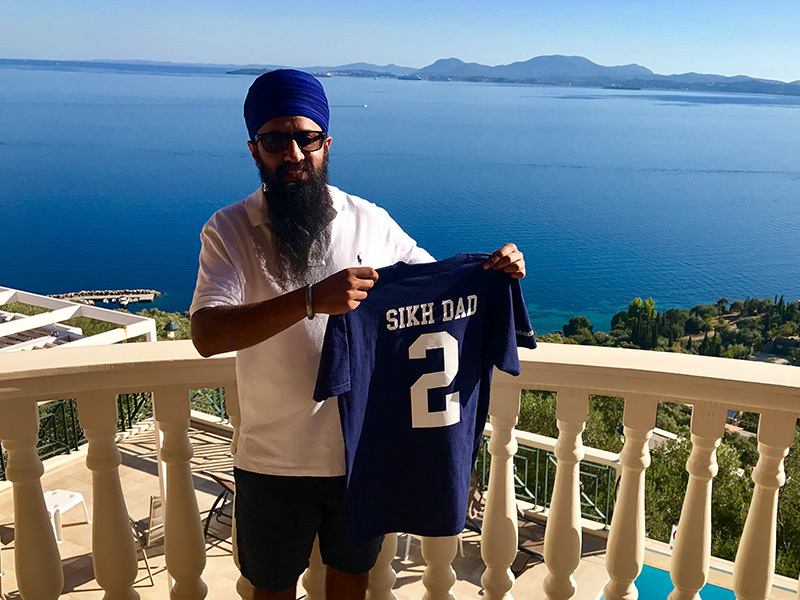 I am more than comfortable looking up to him and taking advice on how to become a better father, I hope I have many more opportunities to talk fatherhood with him in the future, in the meantime, I thank him greatly for taking his time out to contribute to Sikh Dad.